Thursday 21st June saw East Anglia’s largest careers fair take place at The East of England Arena in Peterborough. The event gives an opportunity for young people around the area to interact with local businesses and gauge an understanding of the wide variety of career paths on offer to them. For the second year running, we’ve attended the Skills Service Mission Possible careers fair to inspire young people aged 14-24, as well as offer guidance and advice for those students approaching the cross roads and who are undecided on which path to take. It was the perfect opportunity for us to showcase our three apprenticeship positions in graphic design and print, business administration and production. It was a great way to engage with a range of ages to help raise awareness about the positions and offer then an insight into the roles, what is required of the candidate, how to apply for the position, along with background on the company. 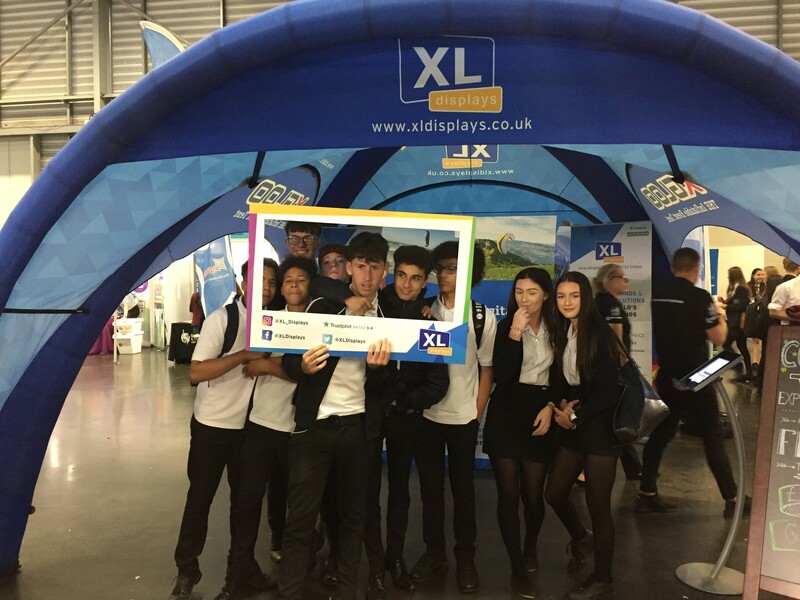 At XL Displays, we believe that supporting young students is incredibly important to help push their ability and learning. We work closely with City College Peterborough and currently have nine staff studying for qualifications in customer service and team leader and management level apprenticeships. Continuous development of every member of the team is extremely important to us and has helped considerably in the vast growth of XL Displays. Apprenticeships are a great way for individuals to learn new skills whilst demonstrating their potential and putting their skills into practice within the workplace, whilst gaining an invaluable qualification at the same time. This is demonstrated by Alex Squibb; our customer service apprentice who has been offered full time employment after completing a year-long customer service apprenticeship. His passion for learning new skills and his drive for success will see him being offered a position within the sales department to continue his progression within our team. 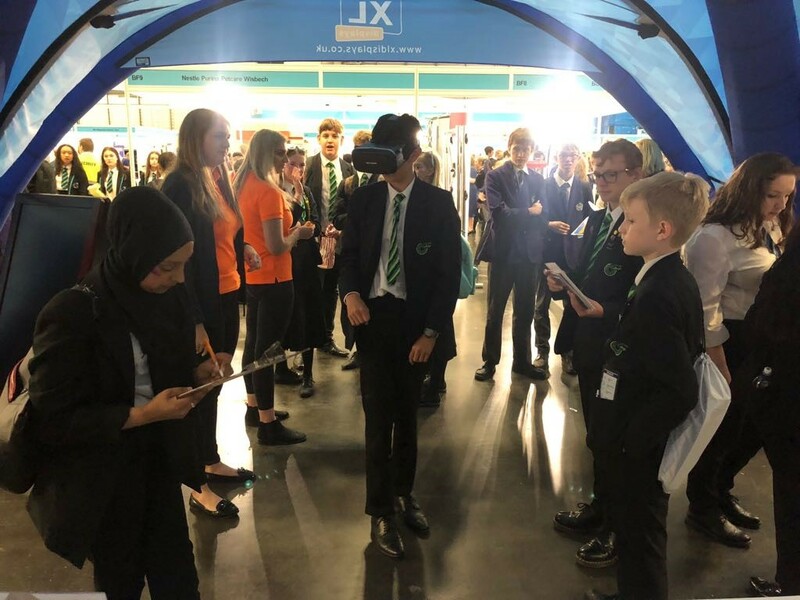 To help engage the range of schools, colleges, sixth formers and members of the public, we hosted a world cup themed VR competition, proving to be a great success with over 100 entries. This entailed visitors finding the 20 hidden country flags around our X-GLOO Inflatable Event Tent to be in with a chance of winning a £50 Queensgate voucher. Those completing the task had to memorise the flags on the pre-recorded VR video within the 30 second time limit. Students then had to name which 20 countries they had seen out of the 32 displayed on a check list. Exploring the 360 VR allowed visitors to explore the products XL Displays offer. It was great to see all participants incredibly engaged and being very competitive to battle against each other. Therefore, we are proud to announce the winner of this exciting competition is Lewis Hossack from Hampton College with a score of 19/20. Thank you to all visitors who participated and well done Lewis! It was great to see so many other businesses willing to support younger students, offering them key advice and opportunities with live vacancies. It was also a fantastic opportunity to network from business to business, enabling ourselves and other businesses gain valuable contacts. We really look forward to attending for our third year with more exciting opportunities and advice to really help support our local area. For information on apprenticeships go to www.gov.uk and search ‘apprenticeships’. 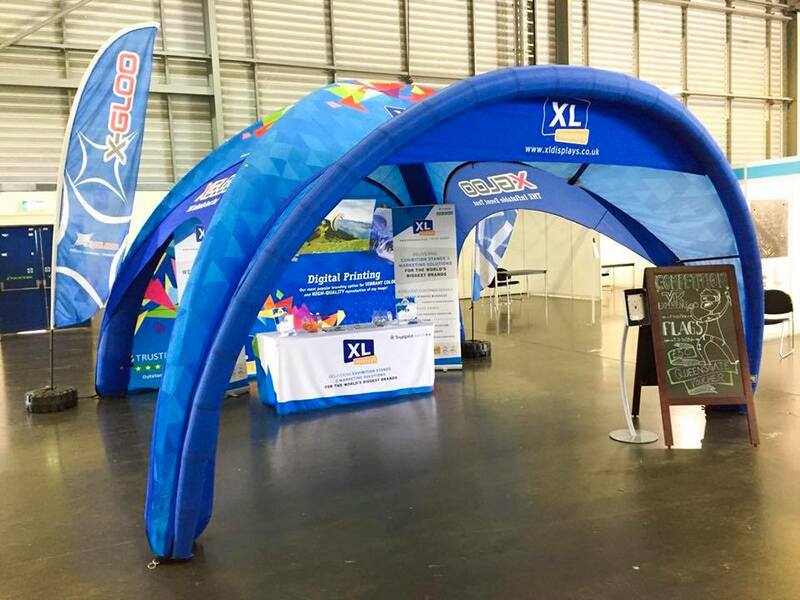 At XL Displays, we are award winning specialists in providing cost-effective display solutions for exhibitions and events. We are specialists in supplying pop up stands, roller banners, fabric exhibition stands and printed tablecloths. For more information about our products, please Contact Us or call our sales team on 01733 511030.